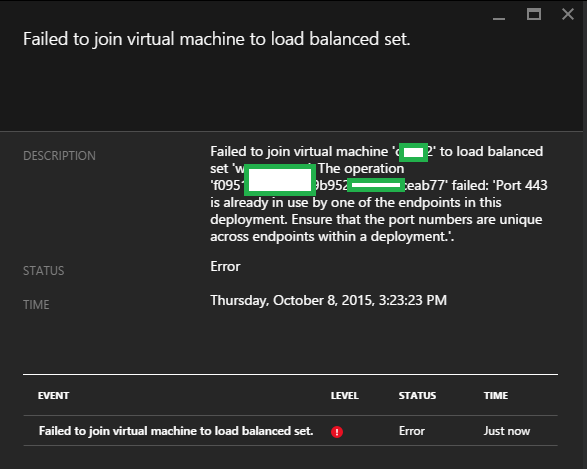 Ryan Betts, Cloud Solutions Architect: Azure External Load Balancer "Failed to join virtual machine to load balanced set. 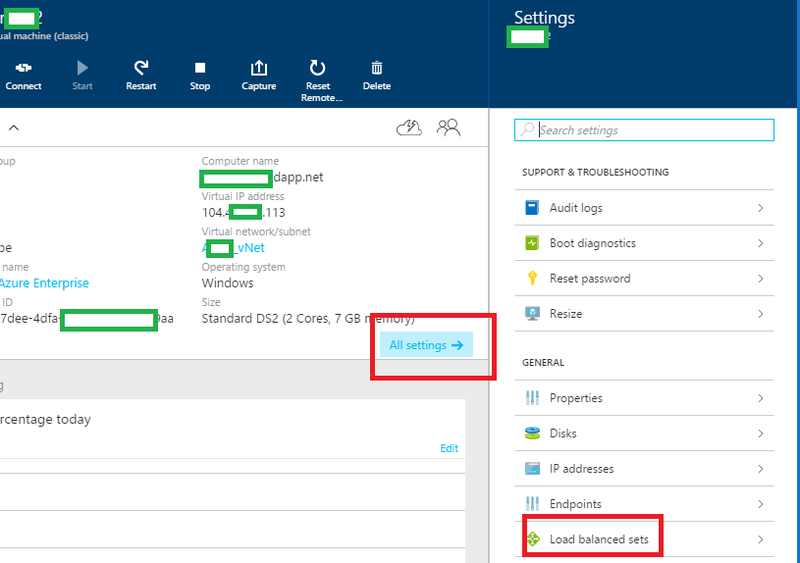 The operation failed Port 443 is already in use by one of the endpoints in this deployment." Azure External Load Balancer "Failed to join virtual machine to load balanced set. The operation failed Port 443 is already in use by one of the endpoints in this deployment." When you try to create an external/public Azure Load Balancer for HTTPS traffic, you recieve "Failed to join virtual machine to load balanced set. 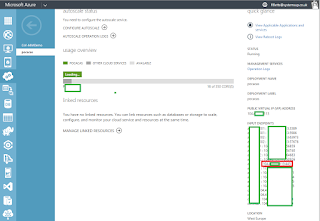 The operation failed Port 443 is already in use by one of the endpoints in this deployment. 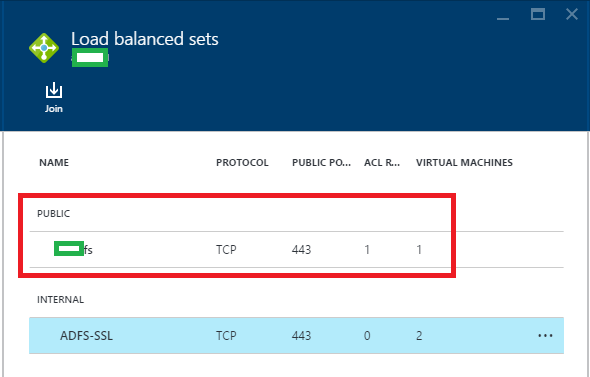 Ensure that the port numbers are unique across endpoints within a deployment." 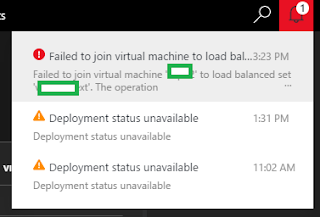 The key thing to understand here is that "deployment" actually means the Cloud Service, therefore this error is saying another application or service is currently using TCP port 443 within your current Cloud Service. 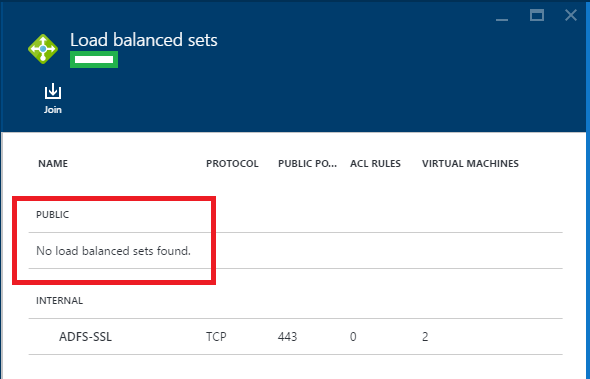 Problem spotted, if you click on your Cloud Service and review what is listed under Input Endpoints you will probably find there is a VM instance using TCP 443 behind your Cloud Service public IP address. The best way to fix this (and only from a GUI) is to use the Preview Portal. 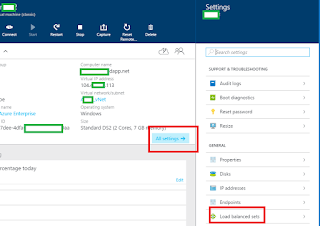 Click on the VM that is listed under the Cloud Service as using port 443 and click All Settings then Load Balanced Sets. 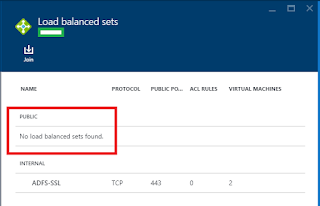 As you will see I currently have two Load Balanced Sets, one for Internal traffic and one for External traffic. 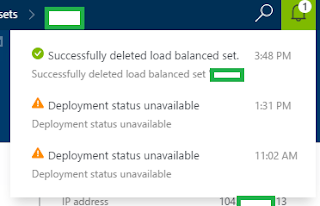 The public load balanced set is causing the issue here for me, the internal LB was created only a few minutes ago to load balance the internal "tier" of ADFS. 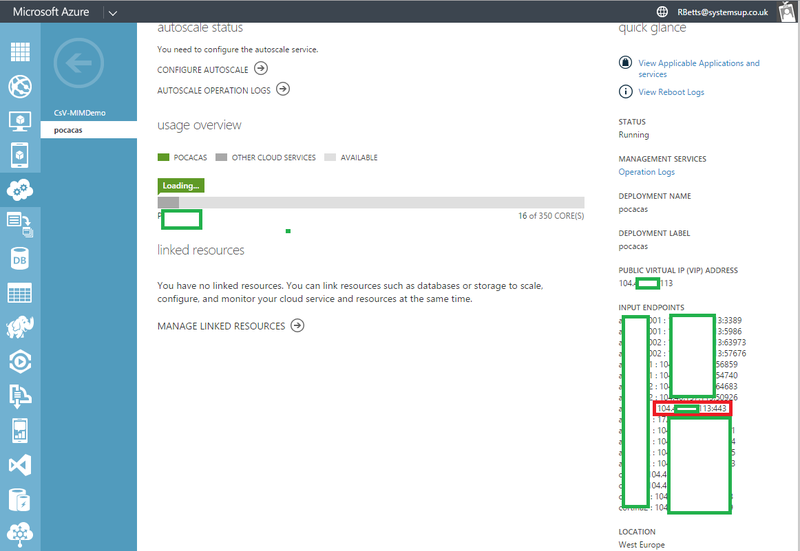 The external LB is going to point to WAP endpoints on separate VM's. So I clicked on the Public LB and it was currently using the Cloud Services IP on TCP 443. After selecting the Public LB you must click Leave to remove the old endpoints from the LB, if this is the last endpoint within an LB the LB will be automatically deleted. As this was a stale LB instance that I had created weeks ago for testing I went ahead and removed it. 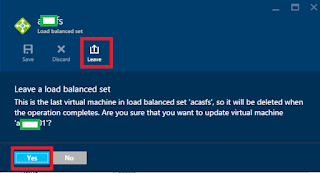 Hopefully deleting the load balanced set works first time, I believe some people have experienced problems doing this from the preview portal, and have had to revert to Powershell to complete the operation. 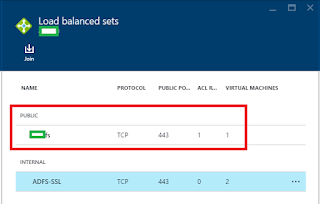 Now lets try re-creating our Public/External Load Balanced Set with the Cloud Service public IP and TCP port 443. 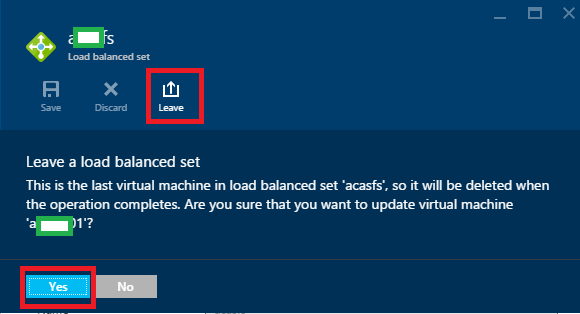 Click the VM's you want to provision into the LB set and click All Settings/Load Balanced Sets, in my case this was the first of my WAP servers that were going to be internet facing. If you had the same problem as me and you have successfully removed everything that was conflicting the operation should complete successfully.